The discovery came upon inspection of an Italian ceramic tile shipment that was headed for the United States. Upon inspection, the insect was discovered, and the ship was left adrift in quarantine while officials figured out exactly what they were dealing with. 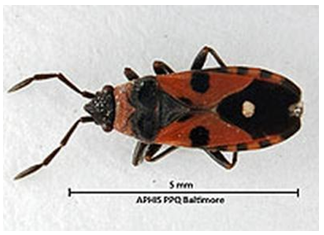 Experts with the U.S. Department of Agriculture say this is the first documented time an interception like this has occurred in the Baltimore area. We take for granted how easy the job for an inspection official can be. But once something like this happens and we get to realize the importance of qualified, crafty inspectors who keep our crops and our national safety in their hands. Good job, Baltimore. Very good job.